This blog embraces information for dating startups & entrepreneurs. 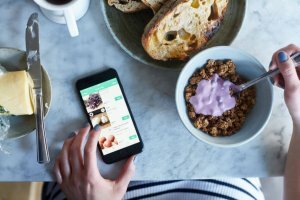 Curated a few top solutions from Lovoo to consider which directly meet the expectations of dating app users. Also, you can adopt them during dating apps development. 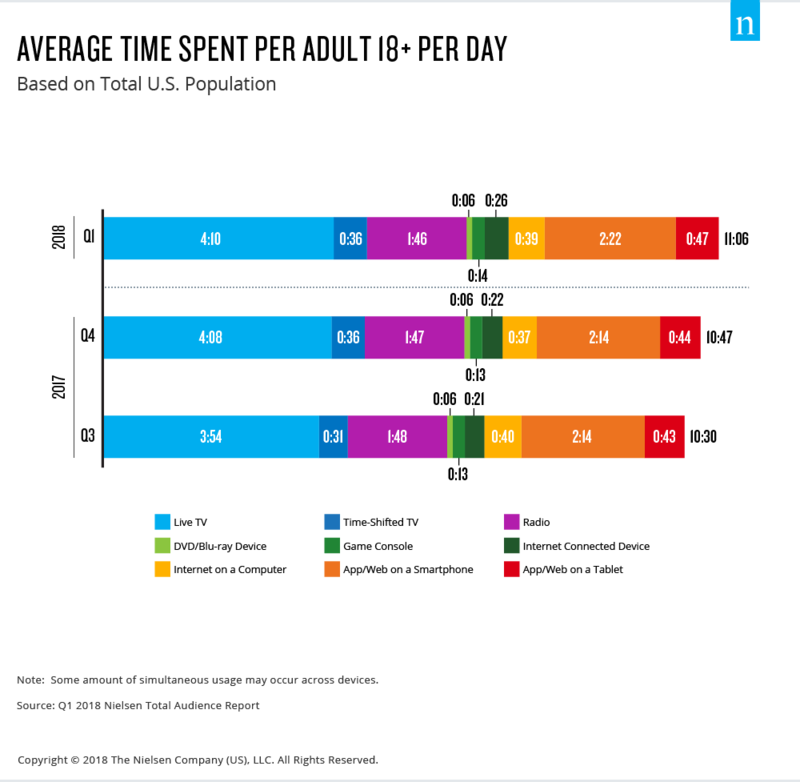 The adults of America spend nearly half a day interacting with media, according to the report from Nielsen. However, the amount of people who use smartphones has been continually increasing if we’re looking deeper into the data. Undeniably, more and more app users are turning to the apps in order to find the date. Indeed, dating apps provide allows users to meet specific matches. Taking an example of one of the most widely dating apps, Tinder, it has over 50 million active users. Plus, it gets 1.6 billion swipes per day along with over 20 billion matches. 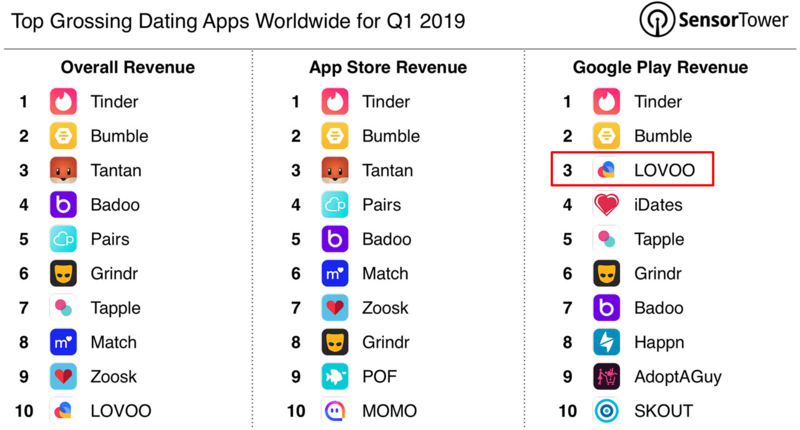 After Tinder & Badoo, there’s a Tinder-like app, LOVOO, which is ranked #3 in the top grossing dating apps worldwide for Q1 2019 in the Google Play revenue, according to the report from Sensor Tower’s Store Intelligence. 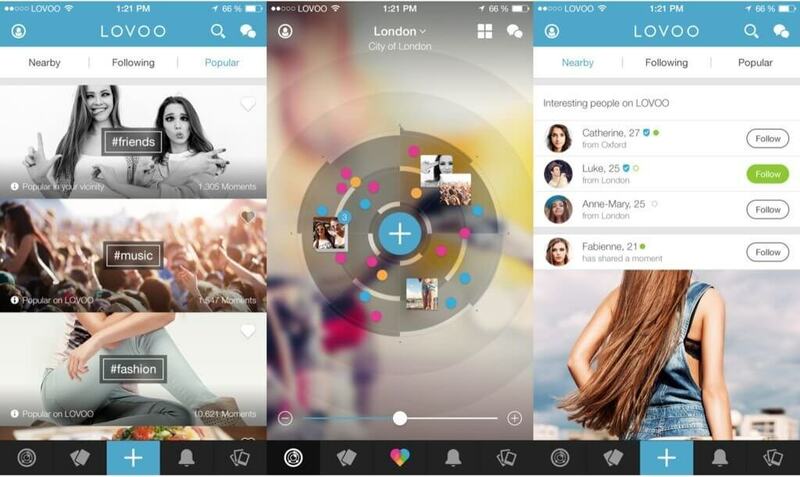 Let’s know more about one of the top-grossing dating apps worldwide, Lovoo. 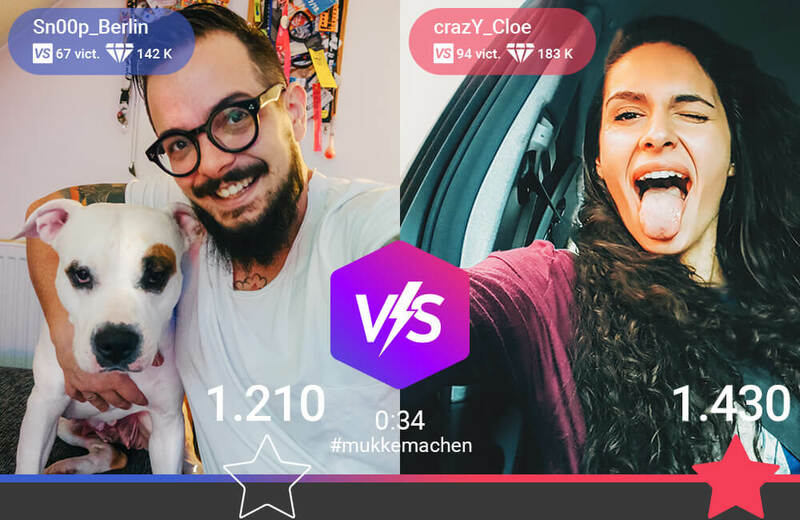 Lovoo is a popular social dating app based in Dresden, Germany. It provides a platform for dating seekers who can talk casually using Lovoo, dating app. Founded in 2011, it is the fastest growing network to meet new people in the area. This German-based dating app offers a new and unique way of connecting like-minded people nearby. Lovoo, dating app, claims to have 35 million matches and 250 million messages in a month. Apart from dating, it also guides users on search who look for more serious relationships. Talking about the performance across to different App Stores, according to the report from SimilarWeb the Google Play rank, Lovoo is #49 as you can see in this graph. 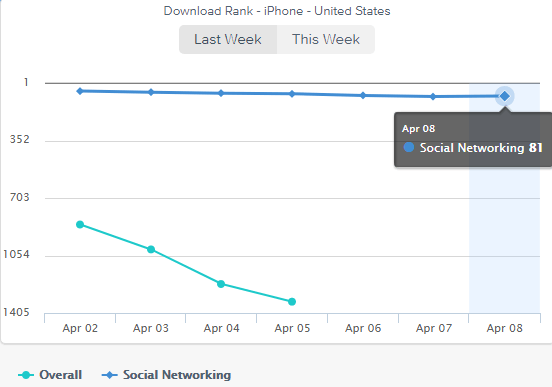 Another report from App Annie, the download rank of Lovoo app is #81 under the social networking category across the Apple App Store. Meeting a number of people is quite easier when it comes to dating. But, meeting like-minded people is quite hard. This is due to the fact that there are a number of platforms for online dating. 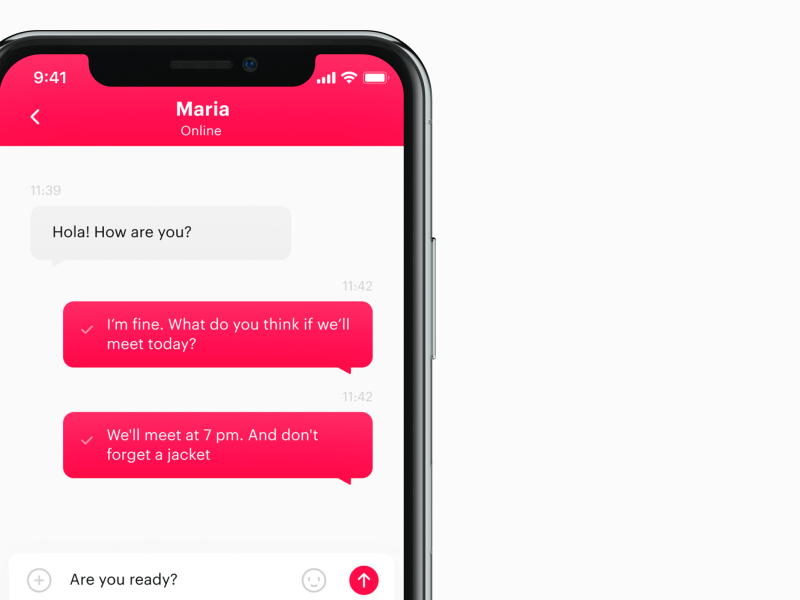 Well, there is a solution by Lovoo, which allows users to connect with people who are of the same mindset or having the same preferences. In other words, it connects people who have the same interests, choices, and preferences. The online dating app like Lovoo allows its users to match with people of the same choices, preferences, and the mindset. Generally, in other dating apps, people do not have choices to choose the dating partner of the same preferences. If you would like to create one of the best dating apps like Lovoo, then you’ll need to consider such solutions for your dating app users, who look for something different in the online dating app. 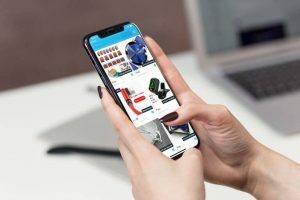 Being a startup, if you want to develop an app like Tinder or Lovoo, there are two things, which you need to focus during dating app development. 1. First, you need to provide a free in-app messaging platform to your users to start the conversation. This is because both top dating apps like Tinder and Lovoo also provide a free and unlimited messaging option to its app users. 2. Once the users hit their weekly/monthly limit, then you can ask them for subscription or buy the credits. As a dating startup, if you are all set to develop a dating app like Lovoo, it is highly recommended to consider such a powerful solution in order to increase your users’ engagement. By considering such a solution, it does not only increase users’ engagement, but it will surely meet the expectations of your users. 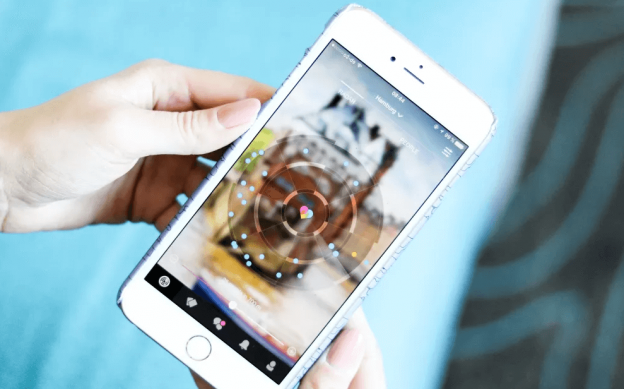 Whether you want to build social networking dating app or a dating app like Tinder, the geolocation is a must-have feature to consider whilst developing one of the top dating apps like Lovoo. The geolocation feature in the dating app is all about to make a match of people of the same area, but not from different continents. 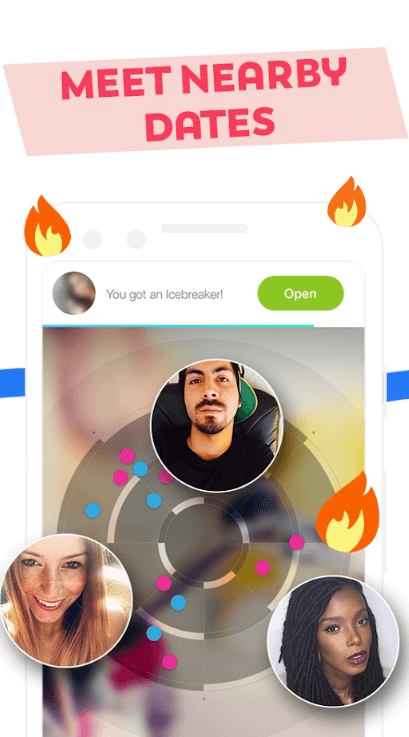 Flirt radar feature makes people send the interest of nearby people and of the same choices, preferences and share the same interests with each other. In short, such a feature will not be going to misguide to dating app users. It means that it would not make the match of totally different continents. More specifically, the people of same interests will be matched. All you need to try to make a female-friendly dating app. In this way, you can create a female-friendly environment for more female users. And, you’ll easily gain more trust from your users. The marketing campaign also plays a huge role. So, all you just need to start the campaign before releasing your dating application. If you are having dating app idea, which you want to discuss with the technology partner, who offers Android/iPhone app development services, then you can cross-verify it with us. 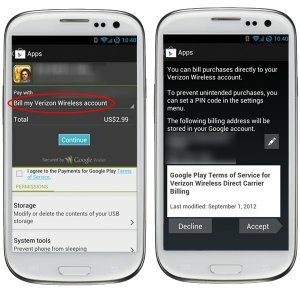 We’re a leading Android/iOS app development company and have already developed over 3500 mobile applications with unique features and functionalities like geo-location, payment gateway integration, cross-platform ability, multi-lingual support, social media integration, and online support. In case, if you still have any query or confusion regarding the cost of making app like Tinder or Lovoo, the estimation of mobile app development in India, how to hire an app developer, mobile app quotation sample, dating app developers cost, how to make money with an app idea on dating, dating app development timeline, then, you can get in touch with us through our contact us form. One of our sales representatives will revert to you as soon as possible. The consultation is absolutely free of cost. This page was last edited on April 18th, 2019, at 8:01.